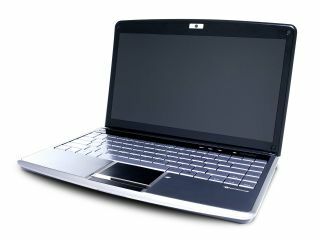 Not content with its rebrand, Packard Bell has also announced a raft of new laptops, including two new EasyNotes and two 'dot' netbooks. The computer maker who will henceforth be known as PB has rolled out the EasyNote Butterfly, the EasyNote TR series, the dot S and the Dot M.
The EasyNote Butterfly apparently weighs in at 500 grams less than a standard notebook and is less than one inch thick. PB also informs us that it "will win the favour of 'in style' people" when it arrives in June. Secondly, the additions to the EasyNote TR series features a 15.6-inch 16:9 display with Dolby Sound Room and will come in three versions. Finally, the 10.1-inch dot S and the 11.6-inch dot M will arrive soon and bring multi-gesture touchpads, WiFi, optional Bluetooth, optional 3G, VGA webcam and Dolby headphones.